The Dope Dad's Ultimate Father's Day Gift Guide! — OK, I'll Give You My Opinion! The Dope Dad's Ultimate Father's Day Gift Guide! So I had the pleasure of interviewing the amazing man in my life, Donnie (aka @donisdope) about what his dream Father’s Day gifts would be. 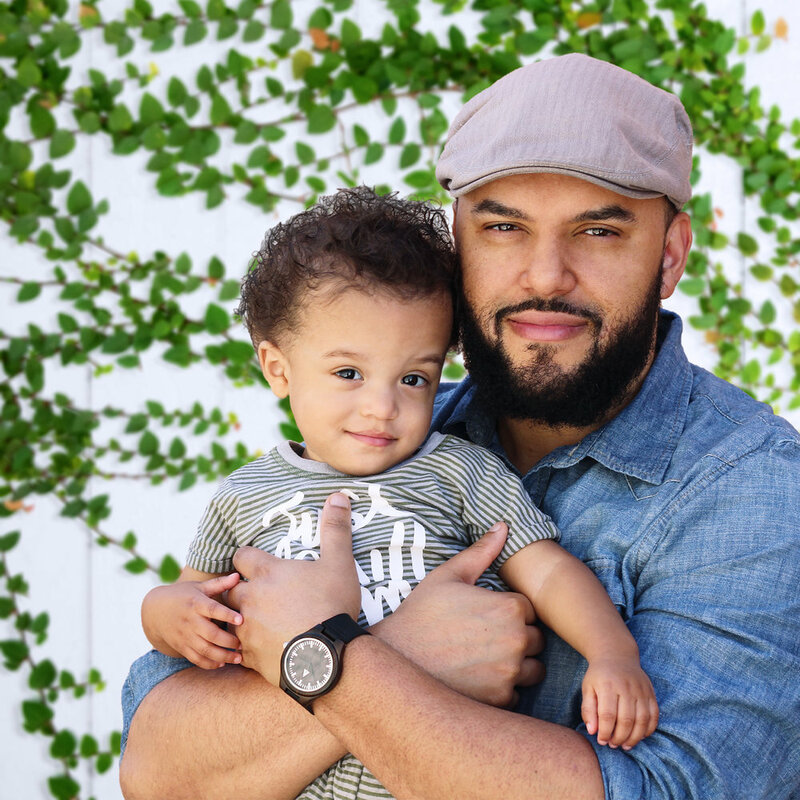 Not one to mince words, or gift ideas, he spilled the tea on what millennial Dad’s REALLY want on their day! So here it is according to the dopest Dad I know! Watches!! How cool is this Ebony Wooden Watch from TreeHut?! And check out the personalized engraving...I thought it was fitting for Donisdope. They have so many dope styles to choose from AND you can save 20% off your entire order with promo code DADSTYLE through June 7, 2018! I might have to get both of us one of these! The Fire TV Stick with Alexa Voice Remote is your all access to streaming entertainment. We're stuck in a cable contract right now, but eventually we're just going to stream all of our shows and movies. We're inpatient millennials and want everything ONDEMAND! Plus you get Alexa! Yes, two in the bag please! Who doesn't love graphic tees?! They're fun, and an easy, go to wardrobe item for summer! I'm going to do a shameless personal plug right now, and invite you to check out our personal brand theDopeOnes! If you're a lover of 80s/90s nostalgia or a fan of Michael Jackson and/or Michael Jordan, you'll love these dope designs! More designs, styles, and art work coming soon! Donnie is a beard guy, and I love his beard too! This seems like an easy one, but I did not think to get him a beard grooming kit, duh! Guys take their beards REAL serious, but they probably don't think to buy themselves products to take care of and maintain those beards. So this is one they'll definitely appreciate! According to Donnie, the Dope Dads in your life want Jordans!! Donnie is definitely a Sneaker Head, and I'm more of a sandals type of girl (they say opposites attract right). Donnie has bought me all the sneakers I own because I never think to buy some for myself. But I can't lie, his collection is pretty fresh! 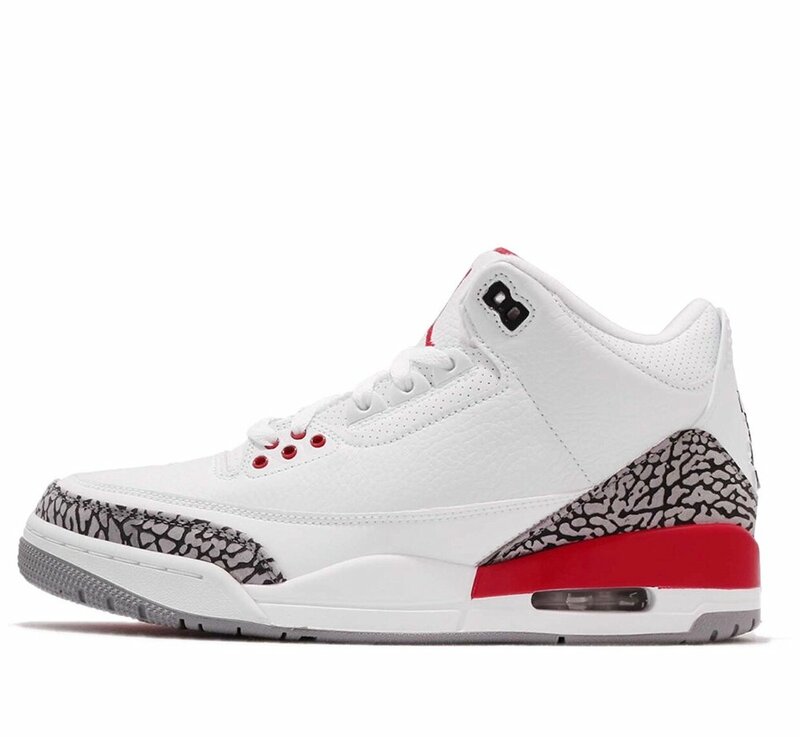 Did you know you could buy Jordans on Amazon?! I had no idea...heyyyy PRIME delivery! A WATERPROOF wireless speaker because....kids! I think we've gone through about three wireless speakers that no longer work because they were either dropped too many times, or just stopped working due to the build up from little sticky hands! I love this wireless speaker because it has a durable rubber exterior (drop proof! ), and it'll survive even if you throw it in the pool (which means it's easy to clean). We're a musical family, and there's always something playing (mostly Michael Jackson) in the background, so this is a must have and a fun gift! 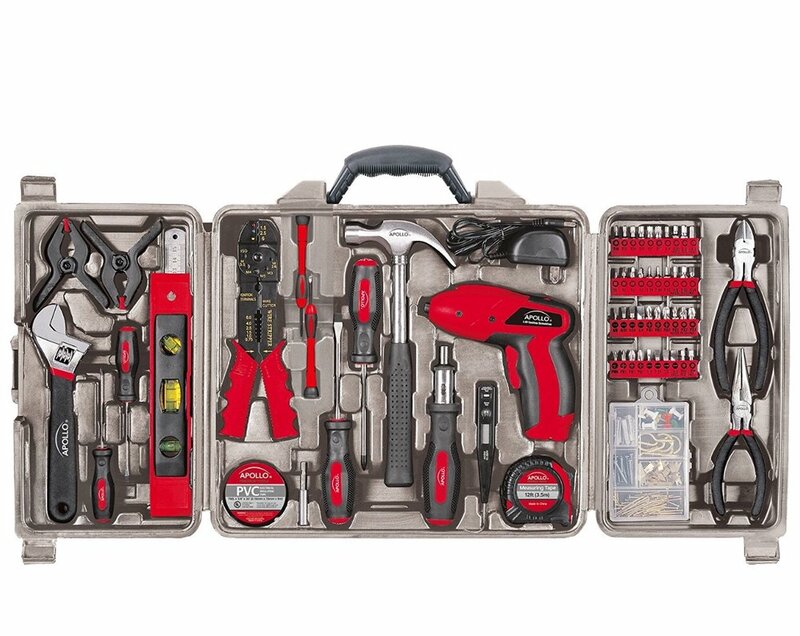 A Tool Kit!! I would not have thought Donnie would want this as a Father's Day gift, or gift for any occasion for that matter because let's face it...handyman is not one of Donnie's many talents. But I'm ok with that! I'm the handy DIYer in the house, and I already have my own cute and pink tool set. Mmmm...now that I think about it, maybe that's why he doesn't like doing little repair jobs for me around the house; because all the tools are pink! OK, so this may be a win win right here. Buy him his own tool kit, and he'll do more repair work, picture and tapestry hanging around the house!! So there you have it, a comprehensive guide to gift giving on Father’s Day!! However, it’s not just about the gifts, it about letting them know how much they’re appreciated. The best gifts come from the heart no matter what they are. But let’s face it, what hard working millennial dad wouldn’t love some of these dope gifts!? **This blog contains affiliate and sponsored content. Every post is my own honest opinion regardless of compensation. GIVEAWAY: Win a personalized Birth Natal Chart and Interpretation Reading ($33 + $222 = $255 value)!! !